Pemberton. Mysteryland. 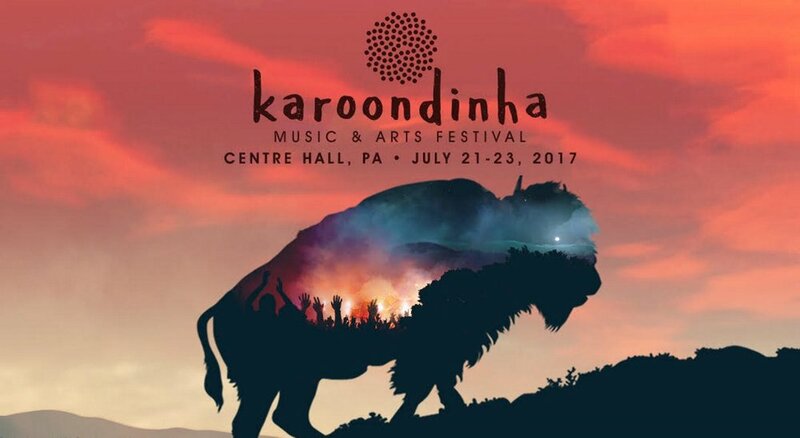 And now, Karoondinha, our neighbors in Central Pennsylvania. At risk of reopening fresh wounds, a discussion about the festival space is necessary. Karoondinha checked off a lot of boxes — lineup, mainly — and left some important ones blank. Just ask their team, or read a very thorough and revealing Billboard piece about the festival here. The Karoondinha scenario (and many others like it) is a stark reminder that people — many of whom may not even have the slightest clue about a festival or what it does — will celebrate around the bonfires of failure. Such is life. Such is the festival world. For all of the good feelings and experiences festivals create, the industry can be a cruel, unforgiving space. But it’s also great and emblematic of some of the best qualities we exhibit as human beings. So why do festivals fail? The answer is both complicated and simple — but it whittles down to one crucial element. Contrary to popular belief, festivals don’t fail only because of their lineups. If they did, Karoondinha would be thriving, and not out of business. Chance the Rapper, John Legend, the Roots, Paramore, Odezsa, Porter Robinson, and Leon Bridges were all playing Karoondinha. Festivals also don’t fail only because of poor customer experience. Virtually every festival in the U.S., at some point, has failed its customers in this realm. Thrival is included on this list. If this were the case — we’d all have been out of business long ago. Price points rarely seem to be a deciding factor, either, as evidenced by the doomed-by-incompetence Fyre Festival — accessible to only rich, privileged Millennials with active Instagram accounts. An over-hyped and cartoonishly planned festival on a deserted Bahamian island can still command outrageous ticket prices from thousands of buyers willing to travel thousands of miles. Instead, festivals fail for one reason — or perhaps a lack thereof: COMMUNITY. I should say this first — there are thousands of ways a festival can fail, ranging from the realistic (bad weather) to the absurd (a plague of locusts yielding foghorns). However, without a community, without a support base that is committed to the festival’s success, without dedicated stakeholders who take ownership over the initiative year in and year out, a festival will fail. Community cannot be manufactured. It is organic, and slow to develop. But it is, by far, the most valuable asset of any festival. Community gives a festival its life. Four years ago we started the Thrival Innovation + Music Festival in a dirt lot in the East End of Pittsburgh, with three weeks of planning. We begged agents to bring national talent to Pittsburgh (and still do). We implored sponsors and community power-brokers to offer support. For every success we had in this regard, there were a dozen or more failures. From a combination of forces both within and outside of our control, we grew over the years — with many stumbles along the way. Looking back, we’ve grown 800% since our founding. We’ve started something unique. In 2015, we hosted Panic! At the Disco, Wale, Manchester Orchestra, and the Wu Tang Clan’s Raekwon and Ghostface Killah, at a former industrial brownfield. In 2016, the Chainsmokers performed right next to a retired blast furnace that has been out of commission for four decades. But the Carrie Furnaces are alive once again. The site once produced liquid iron, and now produces art and culture. None of this would have been possible if it wasn’t for the support of our community. Still, we have so much work to do. We’re improving parking, free water access, line queues, box office operations, shuttle services, rideshare programs, concessions (No tokens! — inside joke), and more. Nonetheless, all of this is for not if our community doesn’t support us. “Build it and they will come” is a fantasy. Instead, an invested community ensures a festival’s success — not the other way around. So while we’re so excited to host a bigger and better Thrival this September, our community will determine its success. And rightfully so. It’s about the power of the people. And for those of you who missed out on Karoondinha, we can extend a helping hand. No questions asked, if you were a ticket holder or planned to go, we’re offering our blind faith two-day pass rate ($59) to you from now until July 21. Use the code “FESTLOVE” to get your pass. It’s not free tickets, but hopefully it helps. In the meantime, take care and keep supporting creativity and new ideas, wherever you are.